When you started your business, choosing online payroll for your small business probably wasn’t one of your most top-of-mind priorities. That is until you need to pay yourself or you hire your first employee. That’s when you quickly realize how much time it takes to run payroll manually. Perhaps this is why payroll is one of the first kinds of HR software that small businesses seek out. Why Do You Need Payroll Software? The first and most basic function that payroll software offers is that it automates your basic payroll calculations. If you have yourself on a basic salary, that may not seem like much. But, if you have hourly employees, that’s where it starts to get interesting. Then there’s overtime, statutory (public holidays), vacation and other calculations. This is when you really start to appreciate payroll software. It helps save you time and prevent mistakes that happen as a result of manual data entry. Compliance is a second area where payroll software is incredibly helpful. Compliance is a serious-sounding word that the government and regulatory agencies use to refer to following all the tax rules that relate to payroll. (They like serious-sounding words, it’s just how they roll.) These rules include taking income tax and managing mandatory payroll taxes (employment taxes). Employers have to withhold income tax and the employee’s portion of employment taxes at set rates, while also contributing the employers share. As a special bonus, employers also have to file routine employment tax reports and send these payments to the authorities on a regular basis. 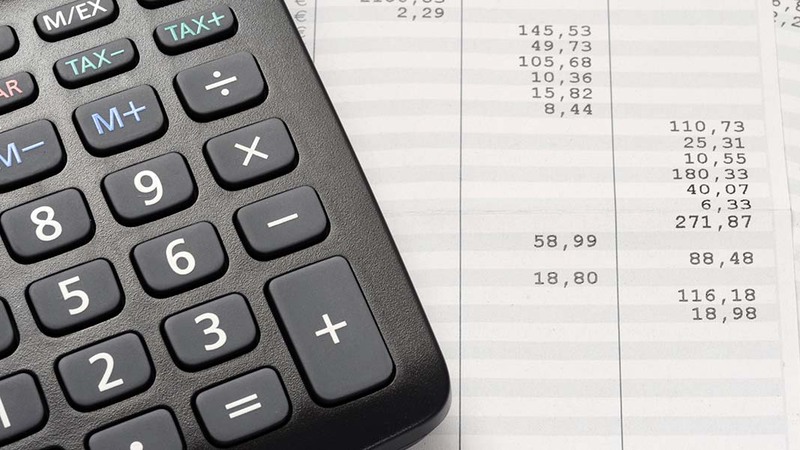 Payroll software helps automate these calculations and many providers will also forward your payments to the tax authorities on your behalf. Where Do You Start When Comparing Payroll Software? If you’re a small business owner or manager going it alone, you might start with basic online search. This may also lead you to software review sites like Capterra, Software Advice and GetApp. Your accountant or bookkeeper will also know your business and its unique payroll needs. In many cases, an accountants and bookkeepers are the ones making recommendations to the small business they serve. Finally, in a perfect world, you’ll want to ensure that the payroll software you choose integrates with the accounting software you use. Think QuickBooks Online and Xero. To find a payroll solution that integrates with your accounting software, you can go to the respective accounting software’s app store. Most online payroll software providers also list their integrations on their websites. Are All Payroll Software Applications the Same? Objectively, you can compare the functionality of small business payroll apps on an apples-to-apples basis. Each payroll provider also has what they consider an ideal business size and number of employees. Subjectively, you have to find the payroll provider that’s a fit in terms of how easy the software is to use (user experience or UX) and the level of customer service provided. For example, as a small business payroll provider, Wagepoint works hard to ensure that we give you all the tools you need to run your payroll. We also work equally as hard to ensure that our software is intuitive and easy-to-understand (think grandma could use it) and we pride ourselves in our hard-working and personable service team. Ultimately, though, the deciding factor is you. You need to find the small business payroll software that’s right for you and your business. In truth, there are a lot of questions you can ask when evaluating small business payroll software. However, your search and ultimate choice will be more successful if you know your specific payroll needs and exactly what the payroll software offers to meet them. Have you ever run payroll before? If you haven’t you may also have to register your business and do a little legwork to get all the information you need to set up your account properly. You’ll also want to know what kind of help will be available and ensure that you feel welcomed and empowered by this support. Are you currently using payroll software and looking to change? There’s no rule saying you can’t change. But there are specific rules on what you need to do to manage this transition properly. For more information on this topic, see this recap and checklist. Also known as payroll frequency this is most commonly weekly, bi-weekly, semi-monthly or monthly. Depending on the pricing structure, this will also determine how your processing fees are calculated. Do you have employees, contractors or both? If you have both, you’ll need software that allows for the differences in how payroll taxes are handled. Pricing often includes a fee per employee or contractor. Having this number handy will help you estimate your costs. Do you have employees with multiple job titles and pay rates? If so, you’ll need payroll software that has this ability. Do you need to pay employees and contractors in Canada and the United States? Again, this is a feature that you’ll need to verify with the software company. Is there a specific number of employees that’s too large or too small? Or, do you specialize in specific industries or are there business types for which the software is not ideal? Make sure you understand how the numbers add up. This is also where knowing how often you pay your employees and how many people you have to pay comes in. The process of entering your information into payroll software is called on-boarding. In order to be prepared, you’ll need your business identification number(s), payroll tax information, company banking information, employee information including banking, etc. In addition to what you need, find out if it’s self-serve or if there’ll be someone to help you along the way. Another thing to investigate is if you’ll have to go through a validation process before you run your first payroll. If so, get the details so you know what to expect. Will you forward my payroll taxes to the proper authorities? If this is something you want, which most businesses do, make sure that it’s offered. Also, verify if there are any additional charges related to these services. Do you offer an online employee portal? An employee portal where employees can log in to access their payroll schedule, pay stubs, tax documents and other information is a convenient, paperless way to handle administration. Email, phone or chat. Find out how and when support will be available when you need it. Are there specific deadlines for processing and funding payroll? There are a lot of steps to processing payroll. Once you’re familiar with the system, it becomes second nature. But, first, you need to know things like processing deadlines. For example, with Wagepoint, you have to approve your payroll a minimum of three (3) business days before the processing date. Do you integrate with any time tracking or other related apps? Time tracking applications are a natural fit with payroll, especially when you can connect your time tracking tool with your payroll software. Do you prepare year-end tax documents, including employee tax documents? We’d like to thank the QBO Connector Group (Jennifer Bauldic and Esther Friedberg Karp ) for hosting a recent Payroll H2H that helped inspire and inform this post. The H2H was targeted at Canadian accounting and bookkeeping professionals using QuickBooks Online. However, a majority of the points made about choosing payroll software are universal. Click here to see the recording. The advice we share on our blog and in our webinars is intended to be informational. It does not replace the expertise of working with accredited business professionals. While we respect all of our competitors in the small business payroll space, we think you should pick us. We can’t wait to meet you! Author: Blogmaster, content creator and inbound marketing guru at Wagepoint, Michelle Mire enjoys simplifying complex payroll topics and generating articles with actionable advice for small businesses and startups. When not at the keyboard, she enjoys chocolate, running and quality television (not always in that order). 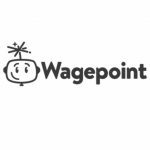 Wagepoint is simple, fast, and friendly payroll software, built just for small businesses across North America. Everything a small business owner or startup founder needs to manage and run payroll is included in one simple plan. Follow Wagepoint on Twitter @Wagepoint.